Fletcher Magee, the top 3-point scorer in Division I history, goes 0 of 12 as Kentucky wins, 62-56. JACKSONVILLE, Fla. — Everywhere Fletcher Magee of Wofford turned, there was a hand in his face, a body in his way, a relentless wave of blue that was intent on making sure he never found any alone time Saturday. Kentucky completely shut down the most prolific 3-point scorer in Division I history. Thanks to that stifling defensive effort, the Wildcats are moving on in the NCAA tournament. 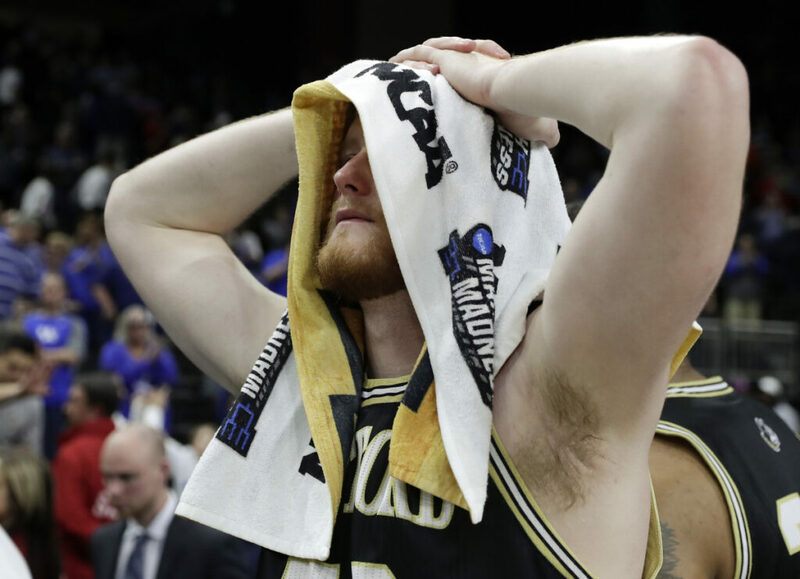 Magee missed all 12 attempts from long range in his final college game, and Kentucky held off Wofford 62-56 in the second round of the Midwest Region. “We wanted to make him put the ball on the floor and make a basketball play,” said freshman guard Ashton Hagans, one of the players tasked with shutting down Magee. Reid Travis scored 14 points, grabbed 11 rebounds and made two free throws with 17.8 seconds left to help seal the victory for second-seeded Kentucky (29-6). But Coach John Calipari knew the key to this game was on defense. “If they hit a normal amount of 3s, they probably beat us,” said Calipari, savoring his eighth trip to the Sweet 16 in a decade as the Wildcats’ coach. 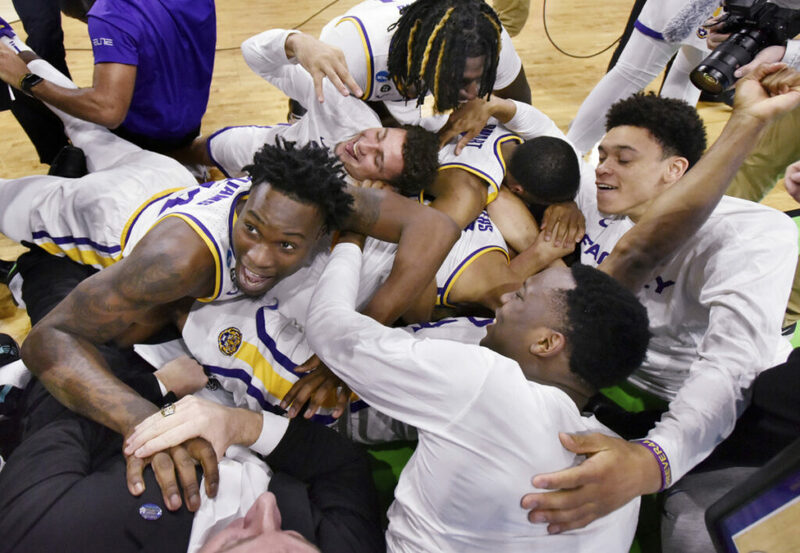 But Magee simply couldn’t make a shot, which was even more stunning because he hit seven less than 48 hours earlier in a victory over Seton Hall, the night he eclipsed the Division I record for career 3-pointers. After his 12th and final attempt ricocheted wildly off the rim, skipping out of bounds, Magee rubbed his head. He insisted that his looks weren’t much harder than what he normally gets in the Southern Conference. But something was a little off, and Kentucky’s defensive pressure appeared to wear him down by the end. It was only the second time all season Magee failed to make at least one shot from long range, following an 0-of-9 performance at Kansas in early December. The rest of the Wofford roster went 8 of 15 from 3-point range. Nathan Hoover made four to finish with 19 points and Cameron Jackson chipped in with 11 points. Magee had eight points on 4-of-17 shooting overall. Kentucky’s length, athleticism and effort certainly had something to do with Magee’s dismal showing. Tyler Herro had a tough shooting game himself, but did a yeoman’s job on the Wofford gunner. Hagans and Jemari Baker Jr. also stepped up at times to keep an eye on Magee. Hagans added 12 points for the Wildcats, who fell behind by as many as six points in the first half before going on a late spurt that sent them to the half with a 28-26 lead. The Terriers briefly recaptured the lead early in the second half, but Kentucky went ahead for good with 141/2 minutes remaining and doggedly protected its advantage.